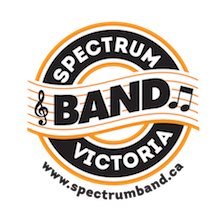 Welcome to The Spectrum Band Program! The goal of the Spectrum Band Program is for students to develop a lasting appreciation for the value of music in their lives. Students are challenged to become the most proficient musician and performer that they are personally capable of. Through our rehearsal and performance practices, students will develop a sense of self-confidence, self-discipline, motivation, and an inner drive for EXCELLENCE in EVERYTHING that they do.